Are you officiating an upcoming wedding? Struggling to come up with the right words for the big day? Don’t beat yourself up – creating a ceremony script from scratch is no easy task. That's why we devised our very own wedding ceremony script generator for you to use! With this tool, crafting a professional, high-quality wedding script takes just minutes. Just input a few basic details, and we'll take care of the rest! The best part? It's completely customizable. 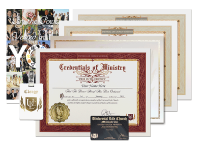 Whether you're planning for a contemporary Christian wedding, a non-religious vow renewal, or even a traditional Buddhist ceremony, the wide range of available options make it easy to tailor the script for nearly any occasion. Once you've customized to your heart’s content, you'll see a button to download your free copy of the script right from this page. Need anything else for the big day? 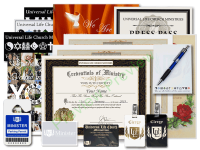 Check out the full array of wedding products available in our Ministry Supplies catalog. Scroll down to begin crafting your personalized script!